When a couple of engineers from an anonymous college make crucial equipment for the Indian Army, they have your attention. When they win a NASA competition for drone design, well, you can't help but sit up and take notice. But their story is nothing like those movies—it's one of grit, determination and an unflinching faith in the strength of their design. “When in college, we did not think of winning competitions or coming up with a startup. We just built drones out of passion. 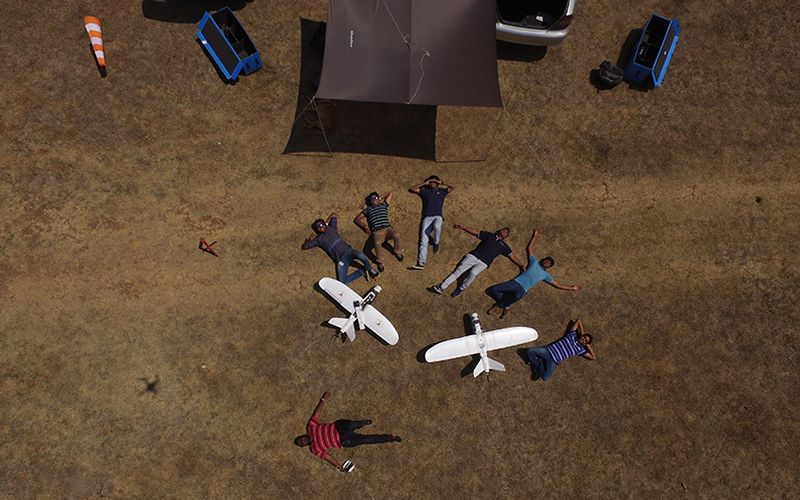 We used to have a small workshop in college, where 10-20 of us would sit through the night to build a drone and fly it in the morning,” says Pai. And all that midnight oil did bear fruit when, in 2013, the duo won the NASA Systems Engineering Award for the best drone design. That gave them the escape velocity—pun not intended—required to look beyond the confines of their college walls and consider real-world applications. Soon after, they started working from a quintessential garage set-up, but had to move to a coffee shop after the garage got flooded. There is no denying that when it comes to emerging technologies like drones, the business-to-consumer space seems exciting. Even Pai and Ramasamy wanted to see if they could build drones for leisure or hobby purposes. “We were not trying to copy anyone’s model. We were trying to innovate. At that point, we were not so concrete on what we wanted to do,” Pai recollects. However, the two soon realised that the enterprise space offered a lot more opportunities—and changed tack. “We saw a huge gap between hobby and defence, another major application area. Other enterprises use drones for a bunch of things, be it surveying, quality estimates, project monitoring, planning, or inspections. [That was] something of huge value and nobody was really capitalising on that value or the market, so we decided to completely focus on that,” he explains. A few months later, Skylark bagged its first customer—the very prestigious Indian Army. The project was to manufacture a drone that could function as a night-vision camera. Since then, there has been no looking back. Next up was Bangalore Police, whom they helped monitor traffic on the 2015 New Year’s Eve. Skylark's drone offered the police real-time surveillance and a live video feed of the traffic. For the last two years, Skylark has focussed only on the enterprise space. It broadly operates in three categories: surveying; monitoring and inspection across railways, roadways, mining, utilities, and telecom; and solar power. The importance of drones in the enterprise space can be gauged from the fact that they are often the first step in the process. Once the data are in, Skylark interprets and processes them at its centres, generating insights as per the customer’s needs. The startup currently earns revenue by charging for the solutions. It is, however, looking to offer vertically integrated solutions as the margins in data collection are not very high. Skylark does not sell drones but charges its customers a fee for its services. The team has now grown to 25 members. 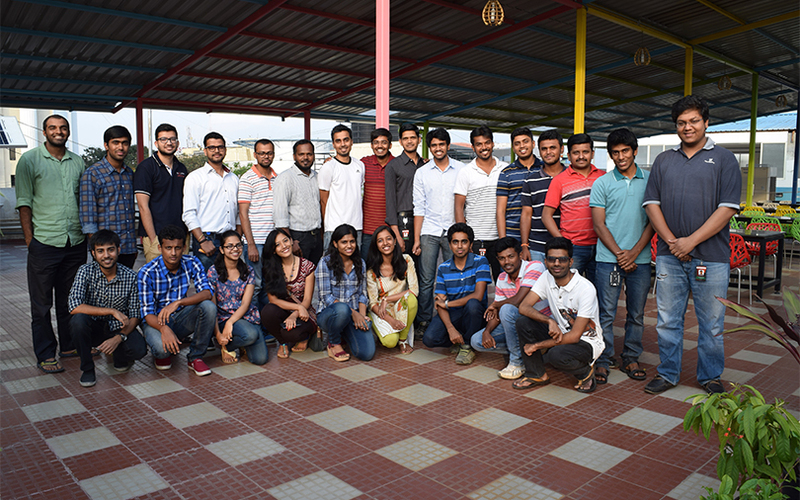 After its inception in 2014, Skylark was bootstrapped for a year. In 2015, it received seed funding from IIM-Ahmedabad’s startup accelerator programme PowerStart 2015. After it went enterprise-only, Skylark has provided its services to numerous government projects, including the National Highways Authority of India and several state highways. It has also catered to a mining project of steel behemoth Tata Steel where its job was to ensure compliance. Last year, Skylark was chosen to offer its services for a Smart Village project, run through a collaboration between the University of California, Berkeley and the Andhra Pradesh government. Under this, it mapped a village called Mori and drafted a report on the resources needed by the village folk. Skylark was mainly involved in the planning phase, where it collected survey data using drones. The startup is currently working with Karnataka's highway department on a road-widening project. It is doing pre- and post-construction analyses of the entire road for the contractor, the government and the designer. In all, Skylark has worked on close to 50 projects over the last 10 months. In the last two years, the drone market has seen rapid growth. So, while Pai and Ramasamy had to earlier explain what they could do for telecom and mining companies, they now receive inquiries for drone technology from public and private players alike. While Skylark specialises in both hardware and software, Pai believes the latter will be the game-changer going forward. In five years from now, he says, the drone market will be flush with Chinese companies offering machines and services at very low costs. Currently, there is no single leader in the drone enterprise space. In the hobby space, Chinese technology firm DJI has 80% market share, says Pai. “Companies find it difficult to compete with DJI because of its technology and costs. We hope that drones become a commodity, so that we are not just manufacturers of drones. We're not competing the way the Chinese are,” he explains. Skylark wants to expand to agriculture next and, in future, aims to become a one-stop shop for all enterprise drone solutions. At the rate they are going, it seems it's just a matter of time.